Google provides number of features to track your android phone or tablet. One of them being Android Device Manager which i discussed in my last post. If you lost your android phone or tablet then this is the best way to get it back. You can access Android Device manager without an app. You can see android phones almost everywhere. Number of people lose it somewhere. Many of the costly android phones get stolen. In such cases, it’s very important to know as how to track and locate your android phone. Below we are giving another method which lets you track and remote control your android device without an app. Before you do any of things below, there are two things which must satisfy to perform remote control on your android phone. Android device must be connected to your Google account. Android Phone must be connected to Internet. Whenever you set up your Android phone for the first time, It asks for your Google ID. Even if you skip that step, it will ask you later. If you ever entered your ID then first condition is satisfied. Internet connection depends on many things. If your android phone is stolen by someone then there is a chance that he/she might have switched off the phone or disconnected the internet feature. However if it’s connected then you will be able to perform below functions. Android Lost is a great app which can track and remote control your android phone. You need to install the app on your phone. You can install the Android Lost app remotely on phone through your Google Play account. You don’t need your phone to install it. Whenever you sign in to your Google play store, you can push any app directly to your phone remotely. There is only one thing required that your phone must be connected to internet. The second step is to activate the app by sending a small SMS on your mobile. The sms can be sent by any phone. Once the app gets activated, you can totally control your android mobile through android Lost website by signing in with your Google account. Install the Android Lost App remotely on your phone through Google Play store. 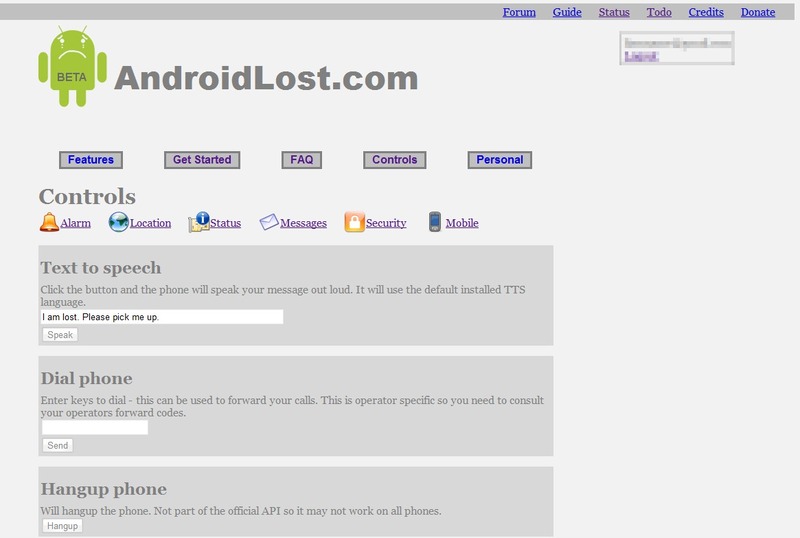 Activate the app by sending it a sms “androidlost register” from any phone to your phone. Now Login to Android Lost Website using your phone associated Google account id. You can play loud alarm with flashing screen on your phone. You can get the location of your android mobile. You can lock your android phone. You can click pictures from both rear and front camera. You can even read SMS from your mobile. There are many more features. You need to visit android lost website. However there are few drawbacks of using this method. Although it’s a great technique and people have used it to track their mobiles still there is a chance that it will fail. Whenever you install any app on your android, we always get a notification. By default, a shortcut will also appear for many apps on the home screen. If it’s turned off manually then shortcut will never appear. In both the cases, the person having your android phone can easily get an idea as whats going on and it will lower your chances of getting it. However, be hopeful and try the method. Good luck finding your android device. This entry was posted in Find My Android Phone and tagged How to Locate My Android Phone with Android Lost, How to Remote Control My Android Phone, How to Remote Control My Android Phone with Android Lost, How to Track My Android with Android Lost, How to Track My Lost Android Phone, How To Track My Stolen Android Phone on September 9, 2014 by satyenhacks.